If you’re a Christian and you are looking for that special someone to love for the rest of your life, it might get pretty hard sometimes. These times are strange and it seems as if it’s getting harder and harder to find good Christian people to not only interact with but also date. Sure, going to church is always a great way to meet people, and attending church functions is perfect for talking to like-minded Christians, but it can only get you so far. The truth is that these church functions are often limited in terms of how many people you will be able to meet who might appeal to you. Just think about it for a minute. How many people do you know who go to your church and are the same age group as well? And then think about how many of them you would be interested in dating. If you take all that into consideration, you’ll probably even have to whittle that number down even more, as many of these people are already in relationships. So, it’s not really easy to find that many good Christians just by looking in your direct community. And as most of us Christians know, going out to bars and clubs hardly ever yields the best results when it comes to trying to meet people who you would be interested in dating. And that’s why Christian online dating is such an excellent solution for Christians. With online dating, the number of people who have similar interests increases drastically. You will be able to talk to people you would probably never get to run into in real life. It really expands your horizons and gives you a huge sample size of people that you could potentially be dating. A lot of these new dating sites for Christians are great because they allow you to filter the people that are registered on the site according to tons of different criteria. Not only can you pick the people who live closest to you and are of the same age, but you can even now find people who are of the same Christian denomination. So it really does make a huge difference. It really opens up your possibilities when it comes to finding the ideal partner. Sure, it used to be easier to find a good Christian partner, but now that it’s getting harder and harder, we are going to have to use different methods to go about it. 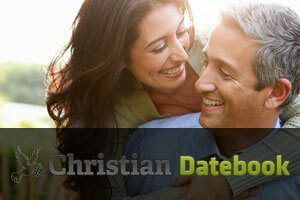 Christian dating websites seem to be the perfect solution for now, and there are certain pros to online dating, mind you. They are especially good for people who lead very busy lives and don’t really have a lot of time to go out and meet people. If you’re constantly at work, or you have too many obligations that don’t allow you to spend time mingling and meeting people at various locations, then online dating is perfect. It enables you to find good Christians right from your computer or a mobile device. It really is a fantastic way to meet people that are similar to you. And it doesn’t even have to be all about romance. You can use these dating sites to meet new friends and talk to people in your area and from all around the country who share similar beliefs with you. 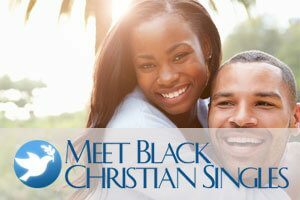 So if you are a Christian and have been struggling to meet that special someone, you might want to go online and try to tap into the world of Christian dating.